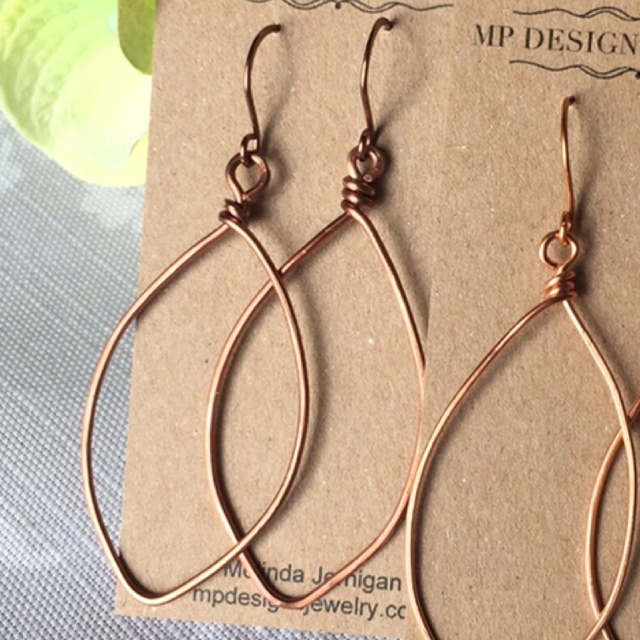 Get a cup of cinnamon spice tea and enjoy these handmade copper wire Leaf earrings. These are slightly hammered to bring out a slight texture and shimmer. 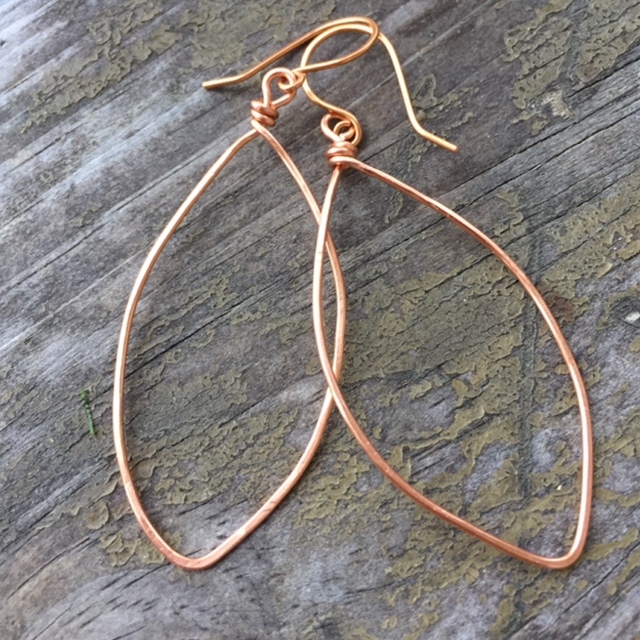 The ear wires are handmade as well. 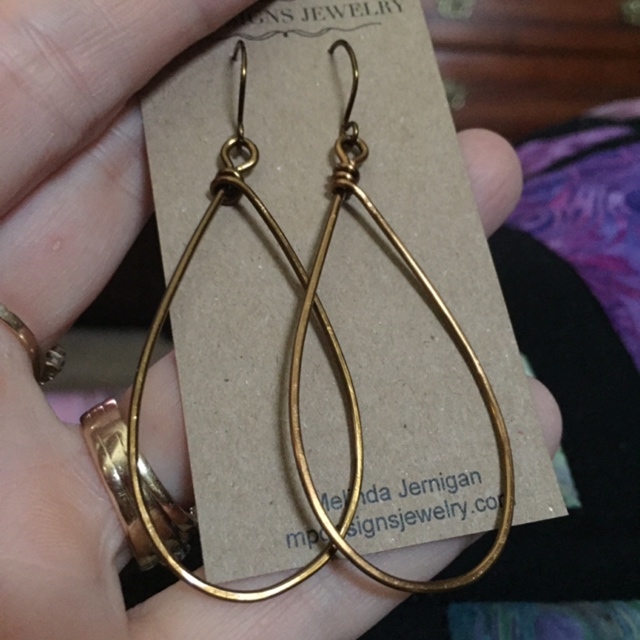 Total length of earring is 3”. Length of hoop from bottom of ear wire is 2.5”. The width of the leaf is 1”. 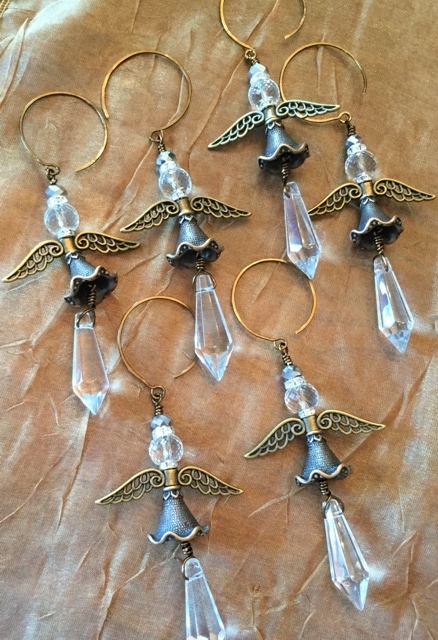 These are available in antiqued bronze as well. I can customize the metal, just contact me.